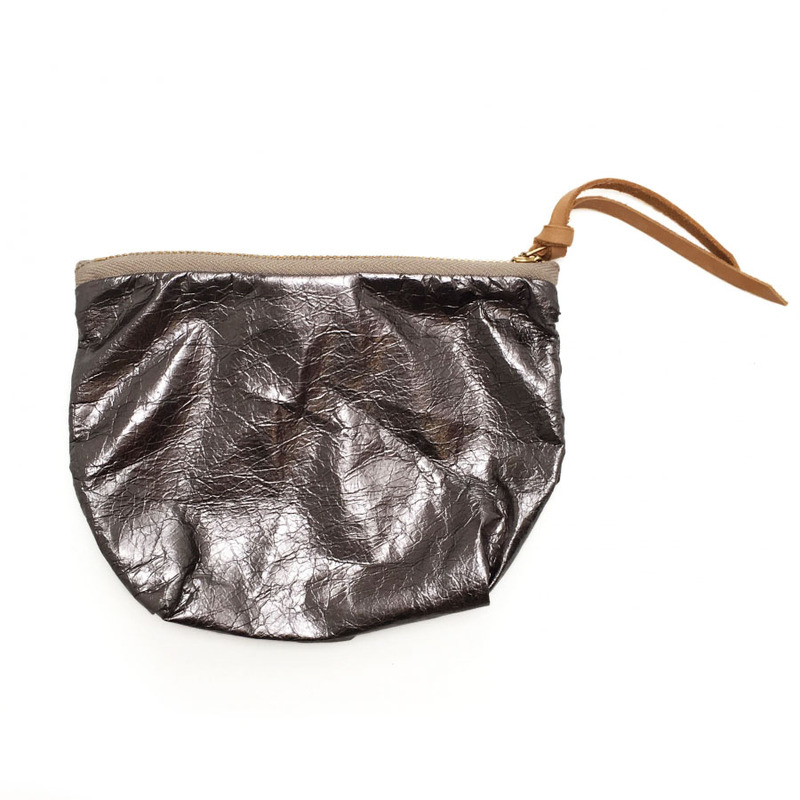 Naturally crumpled, textured fine leather, cotton zip and leather pull. Approximately 165mm x 135mm, handmade in Kent. 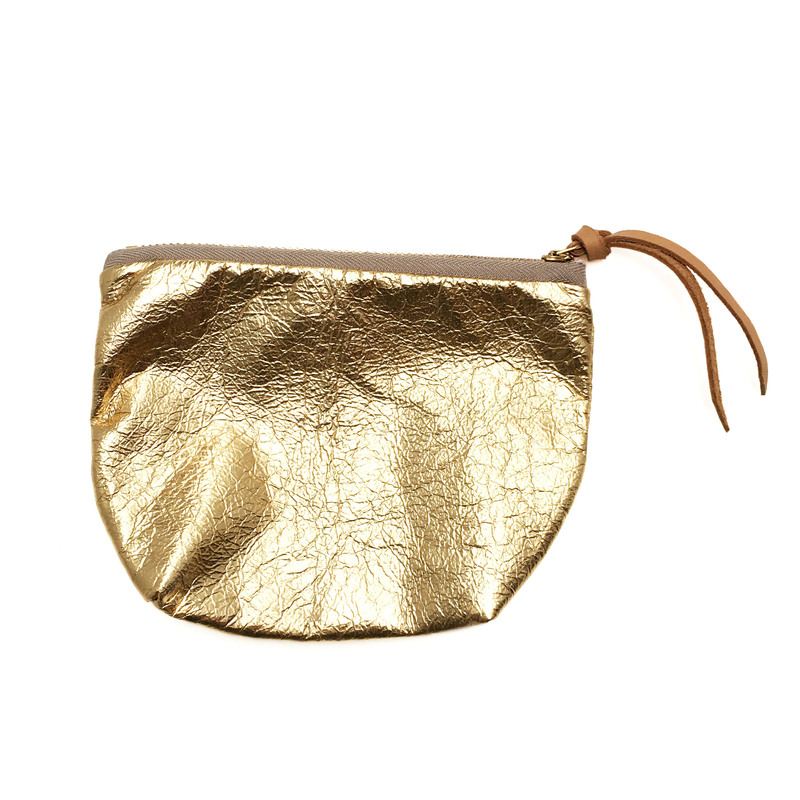 SKU: foil gold leather purse. 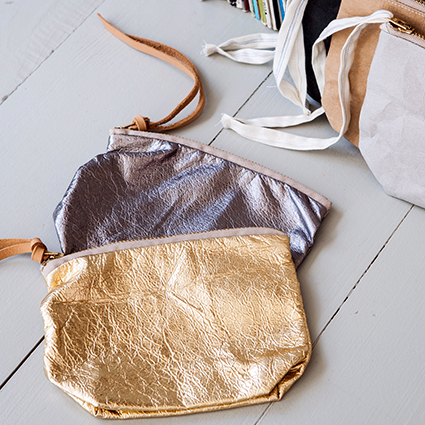 Categories: Gift, Textiles.